Actors find inspiration in a variety of places when they are researching a role. For The Wolf of Wall Street star Leonardo DiCaprio, he found the perfect subject on YouTube. 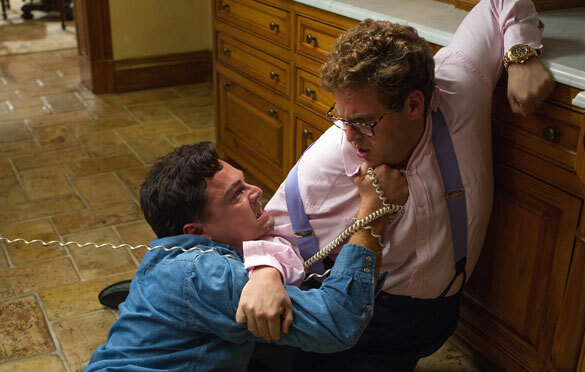 In the film, DiCaprio and Jonah Hill‘s characters have a drug-fueled scene after taking too many Quaaludes. At the Santa Barbara International Film Festival, the 39-year-old Best Actor nominee revealed that it was a popular internet video that helped inspire his behavior in the scene. “A lot of the research that I did really came from watching this one video on loop,” he said. “It’s called ‘The Drunkest [Guy] in the World’. It’s a man trying to get a beer, but his body doesn’t quite [work]. That was a huge inspiration to me,” shared DiCaprio. The viral video hit the web in 2009 and has over 3.6 million views. Check out the video that helped inspire DiCaprio’s performance.